The Social Media Mentorship for Illustrators Award is given to two attendees at the Annual Summer Conference in Los Angeles. To identify and help emerging illustrators or illustrator/authors who have a contracted picture book being published in the year following the conference (or later) to develop social media strategies to promote their books and offer guidance in tailoring their overall online personal brand. The winners are chosen by Debbie Ridpath Ohi and Laurent Linn. 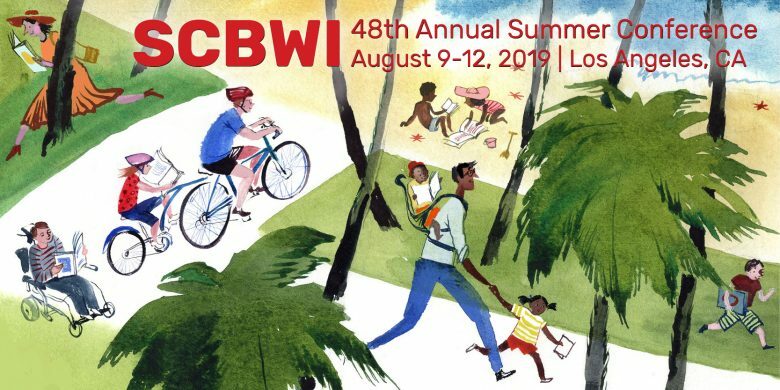 – Open to all registered SCBWI Members attending the Annual Los Angeles Conference. – Entrants must have at least one children’s book they are illustrating, or both illustrating and writing, contracted and scheduled to be published by a PAL Publisher (see https://www.scbwi.org/membership-categories-new/) in 2020 or later. – Both pre-published and published attendees will be considered. – Entrants must have a presence on and familiarity with at least one social media platform (Instagram, Facebook, Twitter, etc.). – Entrants must be present and attend all three days of the Conference (August 9–11, 2019) to be selected. Winners will be notified by email by July 30, 2019. Go to this page to fill out the application form by July 1 at 5 pm PST (you must be signed in to access this page).